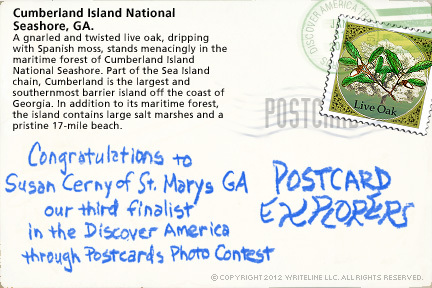 Cumberland Island National Seashore, GA.
9th Annual -- Third week's Finalist. 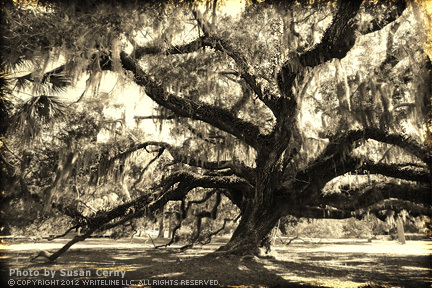 A gnarled and twisted live oak, dripping with Spanish moss, stands menacingly in the maritime forest of Cumberland Island National Seashore. Part of the Sea Island chain, Cumberland is the largest and southernmost barrier island off the coast of Georgia. In addition to its maritime forest, the island contains large salt marshes and a pristine 17-mile beach. Three more finalists will be selected out of which you choose the winner. All finalist receive the companion book, Discover America Diaries, and the big winner also receives $100. We look forward to seeing your best shots.